If you’re considering enrolling in a pharmacy technician training program, now is a great time. The healthcare job market is booming, and the role of pharmacy technician is no exception. The need for trained, experienced professionals is growing—according to the U.S. Bureau of Labor Statistics, jobs for pharmacy technicians are expected to grow 9 percent between 2014 and 2024, faster than the average rate for all occupations, resulting in approximately 407,200 jobs. The baby boomer population is aging, and older people generally require more prescribed medications. The U.S. is experiencing higher rates of chronic diseases, such as diabetes, which will also lead to a higher demand for prescription medicine. With the introduction of the affordable healthcare act, the number of people with insurance is expected to continue to grow. Another reason for this growth is the changing role of pharmacists. It has become increasingly common for pharmacists to perform more patient care activities (e.g. giving flu shots). In turn, pharmacy technicians are expected to take on additional duties, such as collecting patient information, preparing more types of medicines, and verifying the work of fellow technicians. 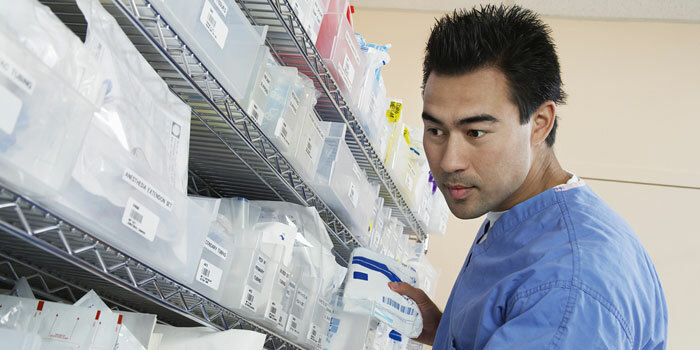 Some pharmacy technicians work in hospitals and other medical facilities, which requires the ability to prepare a greater variety of medicines, including intravenous medications. Regulations vary from state to state, but most require individuals to pass an exam or complete a pharmacy technician training program. Beyond state regulations, many employers require their pharmacy technicians to earn a certification, and even in cases where it isn’t a strict requirement, certified individuals are more likely to be hired. Available certifications for pharmacy technicians include the National Healthcareer Association (NHA) ExCPT exam and the Pharmacy Technician Certification Board PTCE exam. Ability to interact well with people: Customer service is a key part of the job. Attention to detail: Making a mistake when filling prescriptions can have serious repercussions for patients. Listening skills: Good communication is crucial when working with pharmacists, doctors and customers. Math skills: Basic math concepts are used daily, from counting pills to compounding medications.